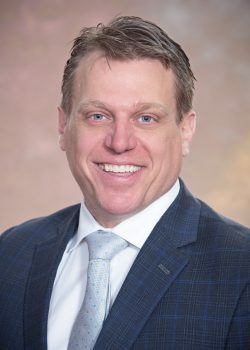 Bryan Neiman is President and CEO of Neiman’s Family Market, with four locations in Alpena, Tawas, St. Clair and Clarkston. His parents, Hal and Jean Neiman, founded the company in 1983 by opening the Alpena IGA store, which later became Neiman’s Family Market. This coming year will mark 35 years as a growing, successful family business. The St. Clair store is currently undergoing a $2 million upgrade. Joining his family’s business in 2007 as a Store Director, Neiman previously worked for The Fresh Market in North Carolina and Indiana. He holds a bachelor’s degree in organizational communications from Capital University. Neiman joined the board in January 2018 as the Michigan Grocers Association division representative.